Fouke Monster Facebook Page - join the Fouke Monster on Facebook. Lyle Blackburn - official site of Lyle Blackburn (The Beast of Boggy Creek / Beyond Boggy Creek). Smokey Crabtree - official site of the late J.E. "Smokey" Crabtree (Smokey and the Fouke Monster). 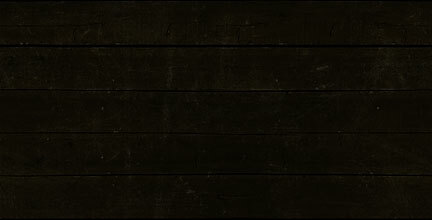 Legend of Boggy Creek - film tribute site for Charle B. Pierce's original movie. Arkansas Travel Info - find things to see and do in the state of Arkansas with MTI-USA. International Cryptozoology Museum - museum operated by Loren Coleman in Portland, Maine. Bigfoot Base - the latest in bigfoot news. Gulf Coast Bigfoot Research Organization - bigfoot research in the southeastern region of the U.S.
Mid-America Bigfoot Research Center - bigfoot research in the central region of the U.S.
North America Bigfoot Search - extensive bigfoot informational site operated by David Paulides. North American Wood Ape Conservancy - bigfoot research in Texas, Arkansas, Oklahoma, and Louisiana. Sasquatch Investigations of the Rockies (SIR) - bigfoot research in the Colorado area. TEXLA Cryptozoological Research - bigfoot/cryptid research in East Texas, Southeast Oklahoma, and Louisiana. 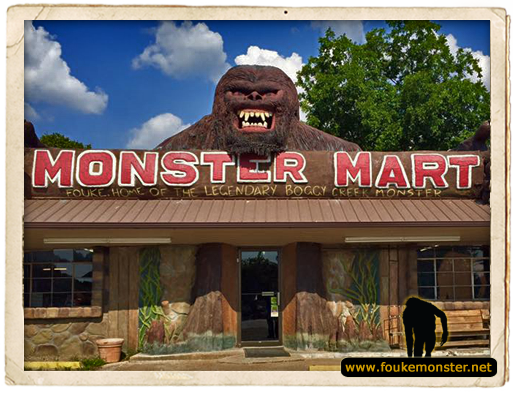 Monster Mart - be sure to visit the Monster Mart store in Fouke, Arkansas. They have a display dedicated to the history of the creature along with a gift shop. Monster Mart storefront in Fouke, Arkansas. ©2011-2019 Monstro Bizarro Productions. All Rights Reserved.